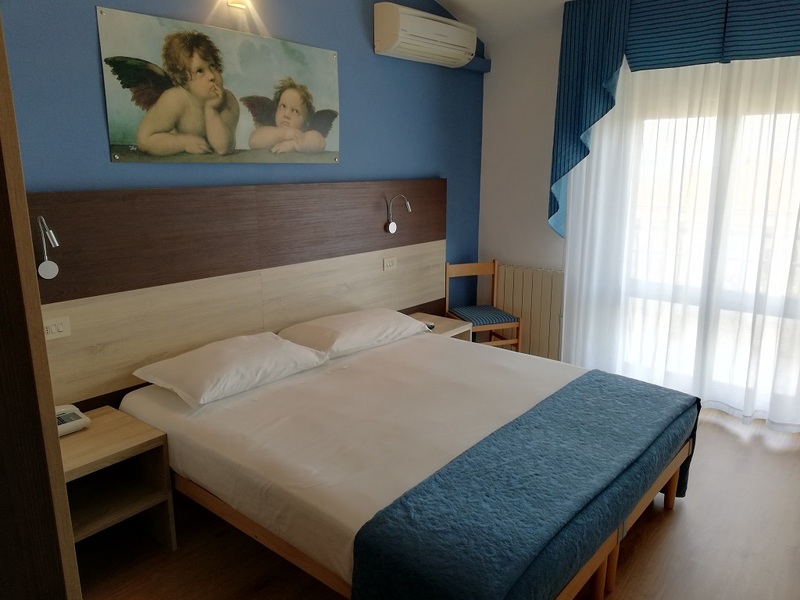 A three-star category hotel, just 600 m. from town thermal center, offers a wide range of rooms, varying from standard or classic to superior, deluxe and junior-suite rooms, meeting every need and taste of the guest. Here, you will find the My Spa Wellness Centre, accessible with mandatory reservation, with a wet area and beauty and 2 cabins for massages, with the possiblity to have rituals and treatments with aroma-chromium-musicotherapy. An elegant and refined area, with all the comforts and advantages for the guests, in the name of eco-sustainability, with bar, breakfast room, restaurant, 3 lifts, multifunctional room, solarium, wellness center, parking. The restaurant is with fresh products and of excellent quality, it offers typical local dishes following a healthy and genuine cuisine. The sweet and savoury buffet breakfast allows you to rediscover the old flavours, with homemade cakes and local products.